Delicious cakes. Originals 6" × 6"
A series of Instagram posts cheering on the RIT Men's Lacrosse team in their championship games. Photo Credit: RIT Sports ZonePhotoshop. Images from RIT Athletics Department. Without the second phrase, each of these quotes means the opposite of the whole. Markers, photoshop, illustrator. Click a letter to enlarge. 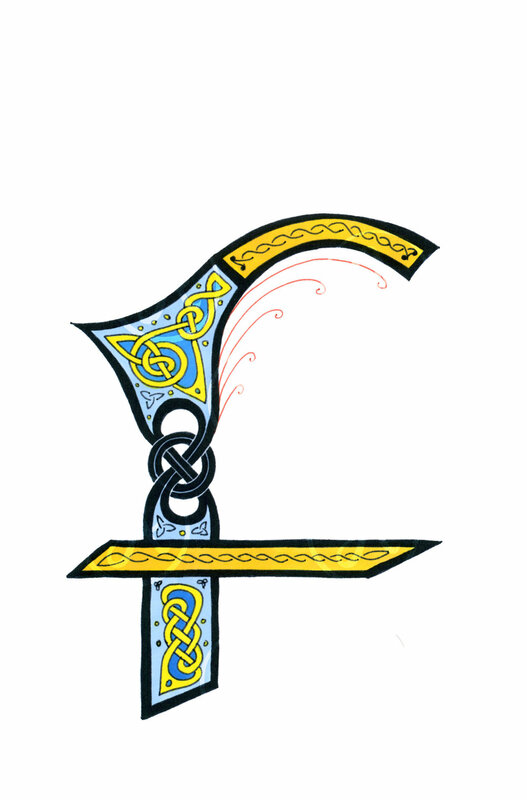 A sample of a decorative alphabet based on traditional Celtic letterforms, knot work, illumination, and patterning.